Crowned Australia's cleanest beach in 2013, come for yourself and decide if this lovely seaside town is worthy of the crown. Our Currumbin accommodation includes beautiful beachfront properties that have you only steps away from pristine water - a total paradise for you to enjoy your holidays. Book your next beach holiday today! If you're a surfer, you have beautiful breaks to hone your skills, while your family enjoys safe and sandy beaches, swimming holes and the serenity of Currumbin Creek. Kite surfing, kayaking and surf-skis are all on offer, there is no end to the activities to keep real water sport enthusiasts happy. It's also a great fishing spot, so why not try your luck at one of the peaceful banks of the Currumbin Creek Estuary? Once you've had your fill of sun and sand, a 15 minute drive west will take you to national parks, fresh mountains and a subtropical rainforest. Get up close and personal with nature at the Currumbin Wildlife Sanctuary, offering the largest collection of Australian wildlife in the world. The afternoon lorikeet feeding is spectacular, and you'll get amazing pictures of your family and memories to treasure a lifetime. Every September you can be dazzled by the Swell Sculpture Festival. Local and international artists flock to display their works along the oceanway from Currumbin Creek to Elephant Rock. After strolling through the artworks, head over to the "In the Bin" short film festival, usually on at the same time. The Vikings Surf Life Saving Club is a great spot to recharge, with delicious food and amazing views over the ocean. If you're lucky you may even catch a training session of the famous Gold Coast Titans Rugby League team. The beauty of Currumbin lies in its location on the <a href ="https://www.wotif.com/hotels/australia-gold-coast-hotels.html">Gold Coast. 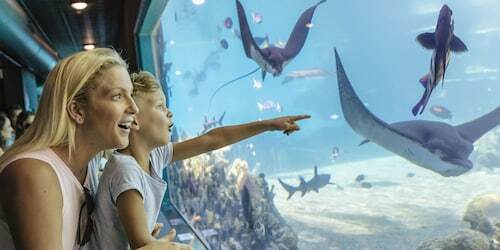 Families with young kids will love the short (35 minute) drive to the major theme parks, while much closer you have a full range of beaches, mountains and nature - all within easy reach. This ideal destination on the Gold Coast offers something for everyone. 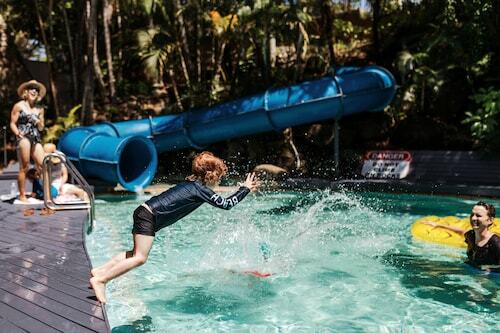 Discover for yourself the real meaning of "where the bush meets the beach" and book your Currumbin hotel today. How Much is a Hotel Room in Currumbin? 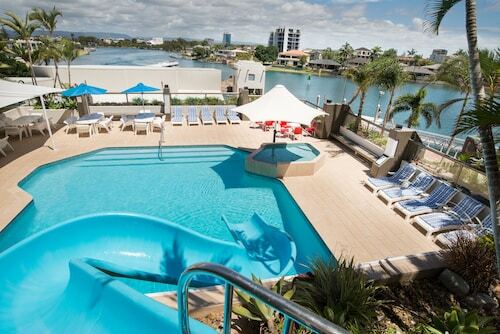 Hotels in Currumbin start at per night. Prices and availability subject to change. Additional terms may apply.